Hey guys! Yesterday we had a blast taking these photos! It was such a windy weekend that we had a hard time not looking like fools with the hair in front of our faces! Even with all of this fooling around, we managed to take these pictures. I was wearing one of my favourite jumpers (you can see Olivia Palermo wearing the same here) and these amazing shoes from Zara. Hope you all have a nice week! Olá a todos! Ontem divertimo-nos imenso a tirar estas fotografias! Esteve um fim de semana com imenso vento e tivemos alguma dificuldade em tirar fotografias, mas lá conseguimos tirar estas. 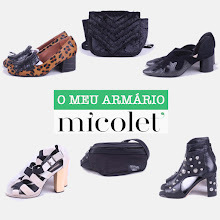 Estava a usar uma das minhas camisolas preferidas (podem ver a Olivia Palermo a usar a mesma aqui) e estes sapatos que gosto imenso. Espero que tenham uma óptima semana! Esses sapatos são mesmo um mimo! Killer flats - Love em! Those Zara shoes are amazing. Thanks Tereza! Glad you liked it :) let's keep in touch! OMG - I LOVE your shoes!!! Are there any ways that Zara is not awesome? What a lovely outfit! Perfect shoes, love it! Thanks Rosita! What a lovely comment! Glad you liked it! Yes, let's keep in touch! Love your outfit, especially the shoes! Bom vim ver o vosso blog e tenho vos a dizer que têm aqui um óptimo trabalho. Espectacular sim senhora ;) e como é claro já vos estou a seguir. Que bom que gostaste Rita!! Obrigada! Vamos falando então ;) Beijs! I'm glad you had a good time taking the photos, they came out really well and you look great! Ainda bem que gostaste! Vamos falando então, também gosto imenso do teu blog! Olá, que lindo look! Gostei bastante das peças, está linda! Thanks for the lovely comment! Glad you liked it! Those shoes are total perfection!! WE LOVE! Thank you Davie and Erica!! so chic n classy ! Thanks so much for ur comment on my blog ! following u back..stay in touch ! so chic! I love your look! and those shoes are awesome! Thanks for visit my blog honey! I follow you! Thanks for the lovely comment Rin! Of course I followed you back, loved your blog <3! Great outfit! Pretty shoes! Would you like to follow each other via GFC, bloglovin' and facebook? Obrigada Marta! Vamos falando ;) Beijs! Amazing outfit ! Love it ! Obrigada Camila! Também segui de volta gfc e no facebook :) Beijinho! joined as one of your readers :) it was sweet of you dropping by. I love this look! Those shoes are just perfect! You look great. hey love your outfit so much! Glad youn liked Greta! Thanks! Amazing shoes, following you on facebook too! love the shoess! stunning! Hey! we're already following each other via GFC, but I was wondering if you girls would like to follow each other via Bloglovin too! Let me know it in my blog :)! Absolutely love these outfits, ladies!! Kate, amazing skirt! LOVE those shoes! Thanks for visiting my blog! I'm following you back!